As all keen gardeners know, we feel the immediate benefits from spending time outdoors, connecting with nature, enjoying all the beauty and getting our hands dirty. There's something very nourishing for the soul from enjoying time in a garden. “The glory of gardening – hands in the dirt, head in the sun, heart with nature. To nurture a garden is to feed not just on the body, but the soul,” said Alfred Austen. 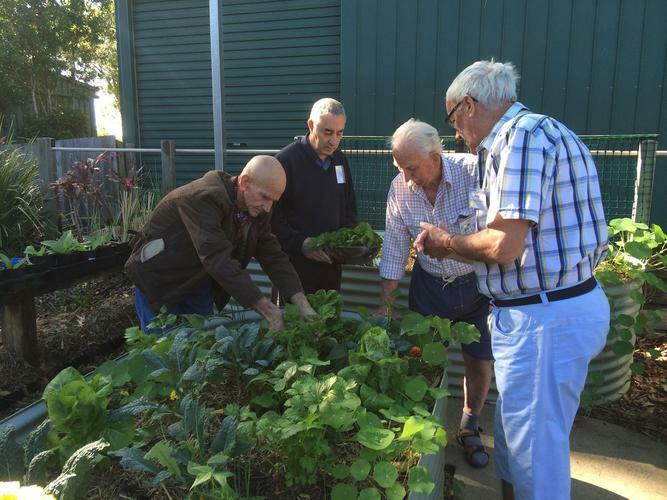 Many people living in aged care villages are familiar with the good feelings given after spending time planting, tending and harvesting from their gardens. Most residents grew up with parents growing food in their backyards or having farms to manage. When moving to a new home and having to leave behind many years of nurturing one’s garden space, there can be feelings of loss, anxiety and stress around how to reconnect with that special place and where to find somewhere to grow again. Having access to a garden and gardening activities can help residents to form new friendships, have a special space to nurture and grow and also feel that they can contribute to the maintaining of part of their home. Horticultural Therapy has been used for centuries to improve the health and wellbeing of people’s bodies, minds and spirit. It’s highly beneficial for people living in aged care, especially for residents with dementia, also assists with the recovery from stroke, heart attack and other illnesses and is of great benefit for people with disability and mental health problems. These benefits range from the physical and psychological to cognitive improvements. 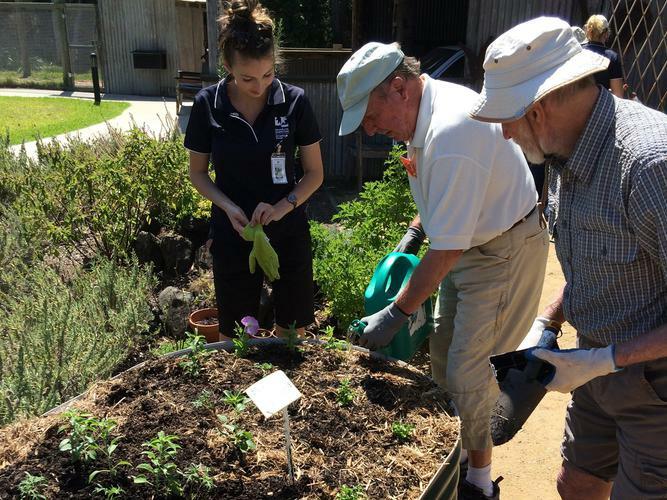 As part of a Horticultural Therapy program, sessions are scheduled to suit each ‘gardener’ and hands-on activities range from potting up, seed sowing, growing herbs and flowers, to creating edible gardens, weeding, watering and making garden art. By connecting with nature and helping to create and maintain a garden, residents are having fun, while reducing stress, anxiety, blood pressure and increasing muscle strength, and flexibility. When organic, fresh food is grown on site, residents can harvest fresh herbs, leafy greens and veggies to offer to the kitchen staff for use in the meals. This allows residents to be involved in the growing and harvesting of food, while ensuring they have access to nutrient-packed vegetables and herbs to also improve their health. Plants that have therapeutic qualities are grown within therapy gardens. These plants assist to stimulate the senses, provide opportunities to reminisce and encourage lovely conversations. Among those are lavender, rosemary, lemon balm, various basil, chives, parsley…and many others. All have sensory qualities, for example lavender stimulates sight, scent, touch, smell and taste. When growing plants for therapeutic uses and also within memory support units, it’s important to know the plant’s characteristics to ensure it is suitable for growing. Avoid plants with poisonous foliage, harsh spikes or sticky sap. Horticultural Therapy Programs provide a holistic approach to the wellbeing of residents. Having access to a garden and gardening activities can help residents to form new friendships. Start with a list of ‘safe’ and useful plants, ensuring they grow in your climate, then add more as needed. Plants grown during potting activities can be planted around the gardens or sold in-house to raise funds for gardening programs. Small social enterprises are growing in popularity! The first step to encouraging an in-house gardening program is to head outside. Try scheduling a small group activity of potting annual flowers or herbs or arranging for a garden walk. This will help to start conversations around a gardening group and what residents enjoying doing. From there on you can all start to grow! Cath Manuel is a horticultural therapist based on the Sunshine Coast, Queensland. 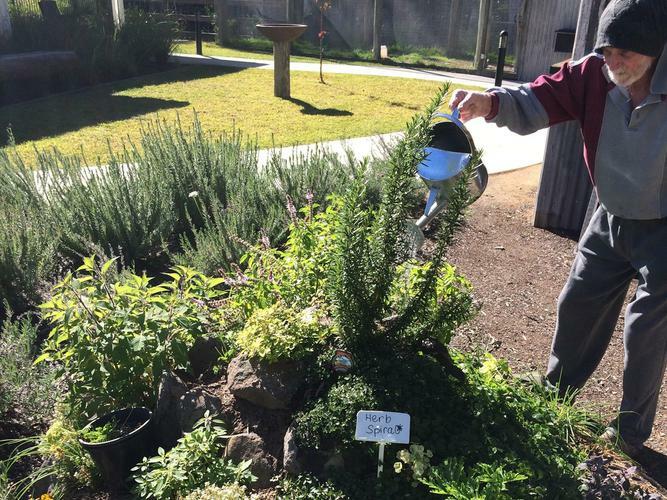 She runs weekly gardening programs at aged care and community centres. Horticultural Therapy Programs are held in-house, along with staff training and seasonal gardening programs, and provide a holistic approach to the wellbeing of residents. For more information on Horticultural Therapy programs please visit soiltosupper.com.